If you've ever worried what would happen to your files, photos and music if your MacBook took an accidental swim in the sink or your old desktop PC started spitting sparks, then this new scientific advancement may ease your mind a bit: Scientists have found a way to store data on strands of synthetic DNA. Researchers from the European Bioinformatics Institute in Hinxton, England, announced Wednesday that they had successfully stored a host of digital information on a tiny scrap of lab-engineered DNA, according to an NPR story. The data saved to DNA included all 154 of Shakespeare's sonnets, a 26-second audio clip of Martin Luther King Jr.'s "I Have a Dream" speech and a photo of the Institute offices. The Institute scientists did this by converting the original data files into binary, a computer language made of up 1's and 0's. They then created a code to translate the binary into the alphabet of DNA's chemical base pairs — nothing but A's, G's, T's and C's — and imbedded it into lab-created DNA. The resulting DNA was almost too small to be seen by the human eye in a test tube, but it did its job; the scientists ran the DNA through a computer that could break the genetic coding and translate the results back into recognizable words, sounds and images. Although it took two weeks to translate, the sonnets appeared again with 100 percent accuracy. Are your back-up hard drive's days numbered? Researchers say this storage could provide many benefits, as the NPR story explains. 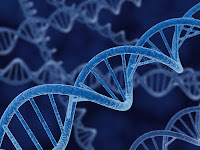 DNA is the hard drive of the body, designed to store billions of genetic codes. This means it can efficiently and compactly hold data that would otherwise take countless computers (and electricity and geographic space) to store. In contrast, the DNA necessary to store every single thing a human being has ever written — an estimated 50 billion megabytes of data — would weigh less than a granola bar. Scientists believe this could be the answer to safely storing historical records and vast archives for centuries, although we're still a long way from it becoming a mainstream practice. (The technology is costly, coming in at $12,400 per megabyte.) And scientists have no intention of implanting the DNA in humans, according to an Associated Press article, so be assured that you won't turn into a living library. 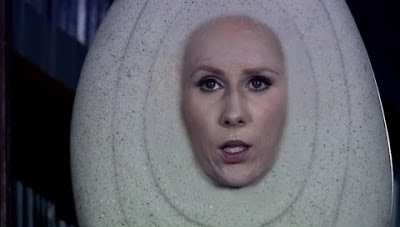 Donna Noble will be relieved. One last (shallow) thought: In the NPR audio story about the DNA storage process, am I nuts, or is that Alan Rickman reading a Shakespearean sonnet in the background? Help a sister out here.